The cottages can be found in various counties around the UK and Ireland, with Cambridgeshire, Northumberland, North Yorkshire, Cumbria, Aberdeenshire, Dyfed, Ross-Shire, Sutherland, Isle Of Skye, Tyne and Wear, Gwynedd, Angus, Devon, Dorset, Leitrim, County Donegal, Kilkenny, Isle of Wight, Kerry, Kirkcudbrightshire, Cornwall, Isle Of Lewis, Herefordshire, Lanarkshire, West Sussex, Oxfordshire, Roxburghshire, Staffordshire, Derbyshire, Lincolnshire, Cheshire, Norfolk, Isle Of Arran all getting a mention. That cottage is: "Piperdam House in Piperdam, near Dundee". Piperdam House in Piperdam, near Dundee - Piperdam House in Piperdam, which is near Dundee, sleeps 10 people in 5 bedrooms. 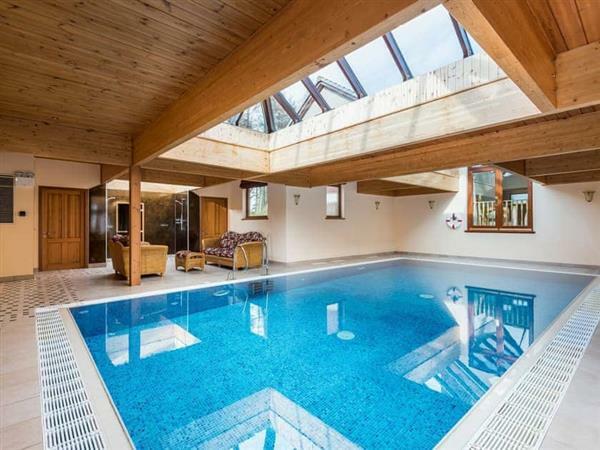 Piperdam House comes with its own indoor swimming pool and sauna.